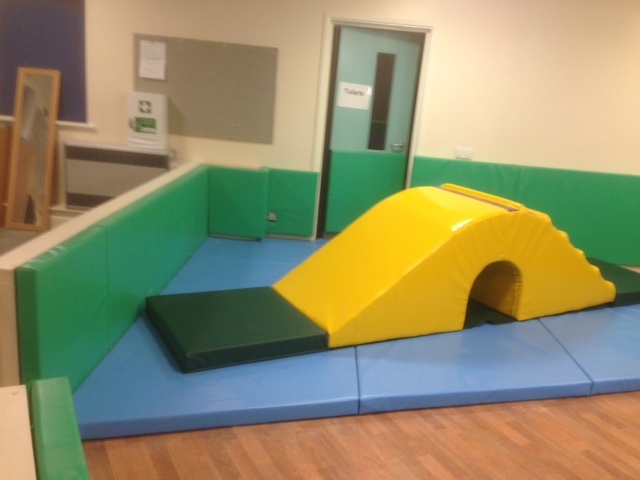 All the floor padding in this room is removable allowing wheelchair access to the equipment. 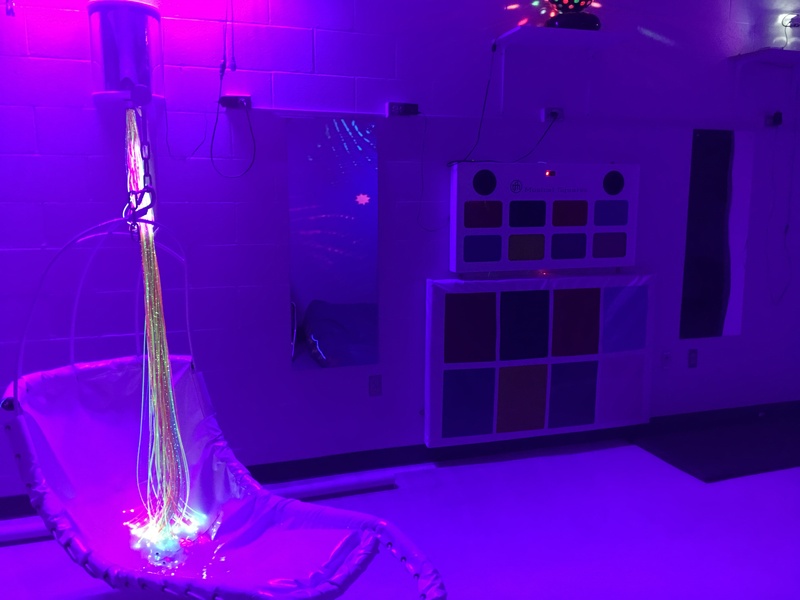 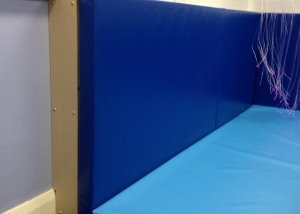 Making Sensory Spaces safe is as important as making them age appropriate. 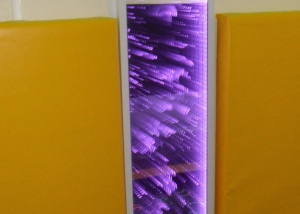 Detail of some boxed-in wall padding to hide a number of pipes. 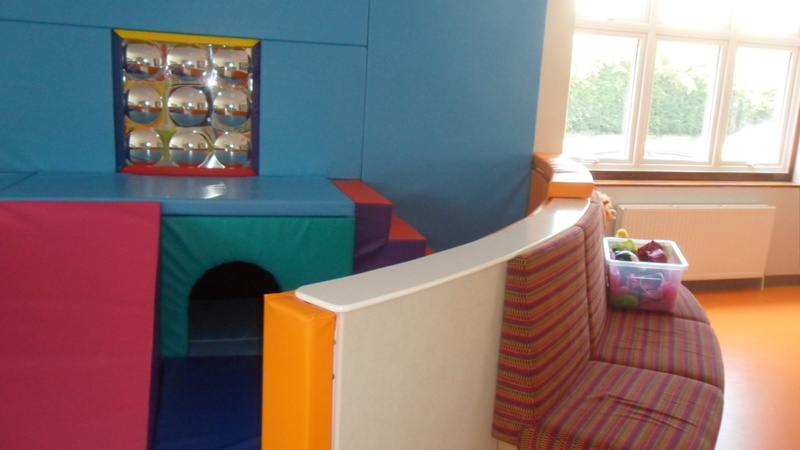 The client wanted this large room split into a Sensory Room and a Softplay room for children. 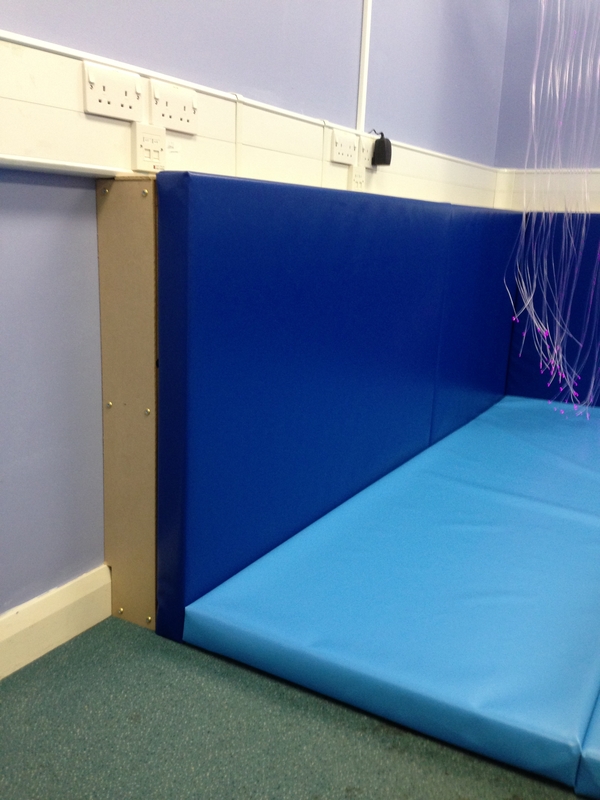 We constructed a low internal wall to separate the areas while retaining good visibility of the space. 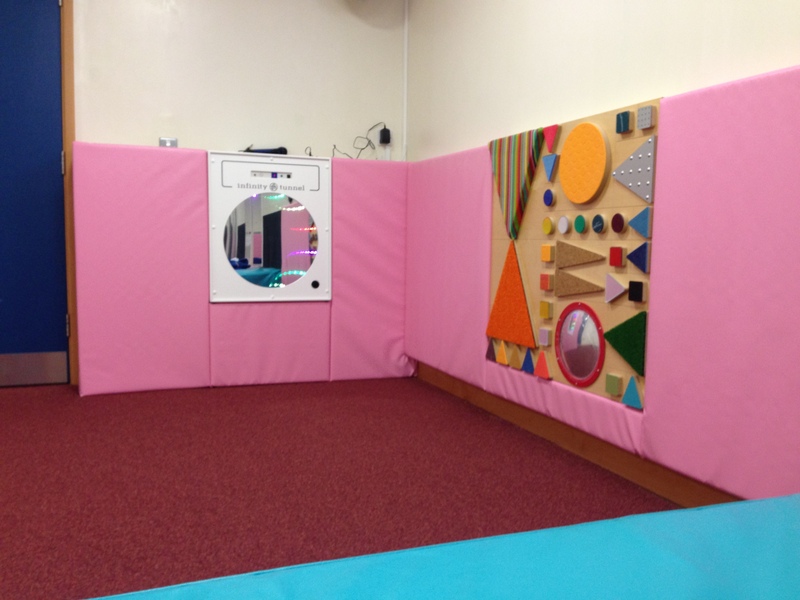 This day centre had a number of curved walls to pad, (always a challenge). 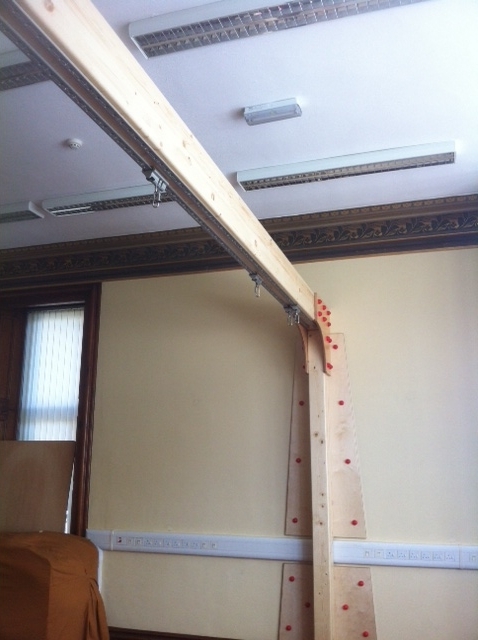 This beam was installed in a large room measuring 5.5m across. 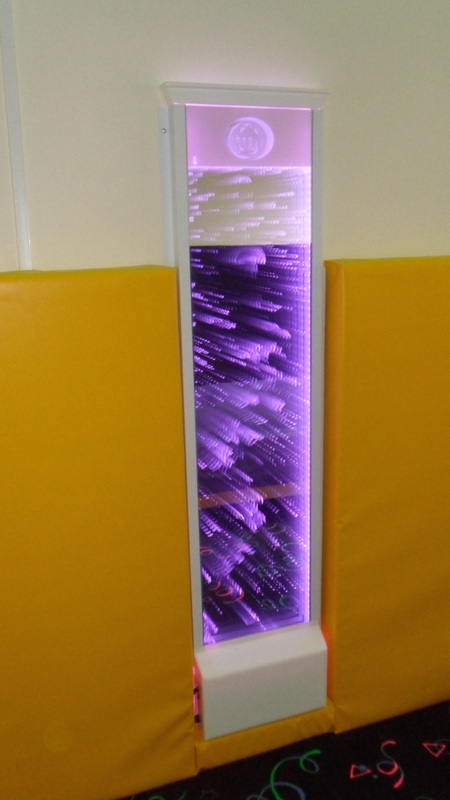 The beam is 3m high. 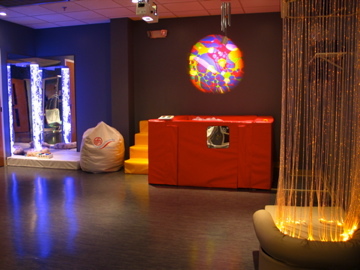 The ceiling itself is 5m high. 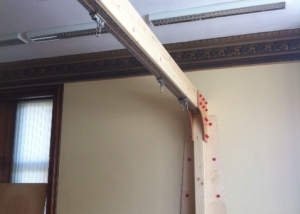 The house is grade 1 listed and the ceiling is ornate. 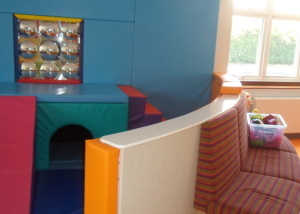 The client did not want to spoil it in any way. 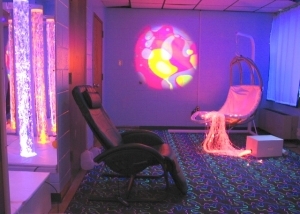 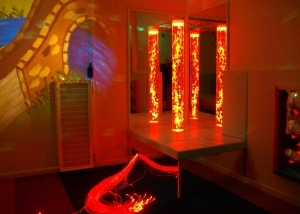 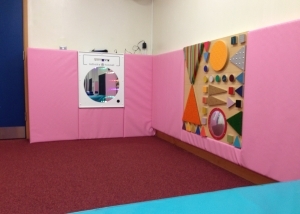 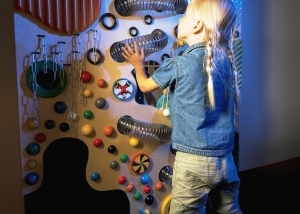 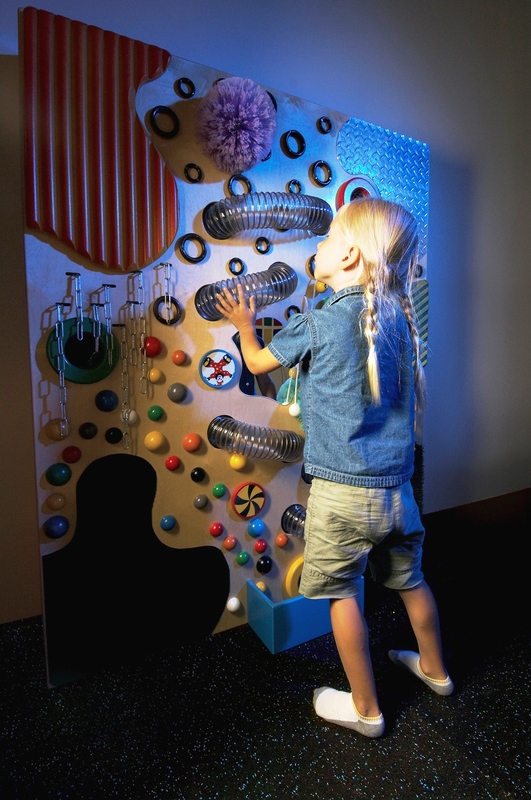 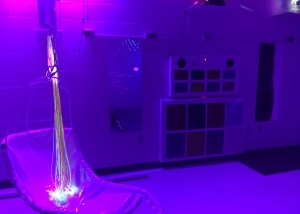 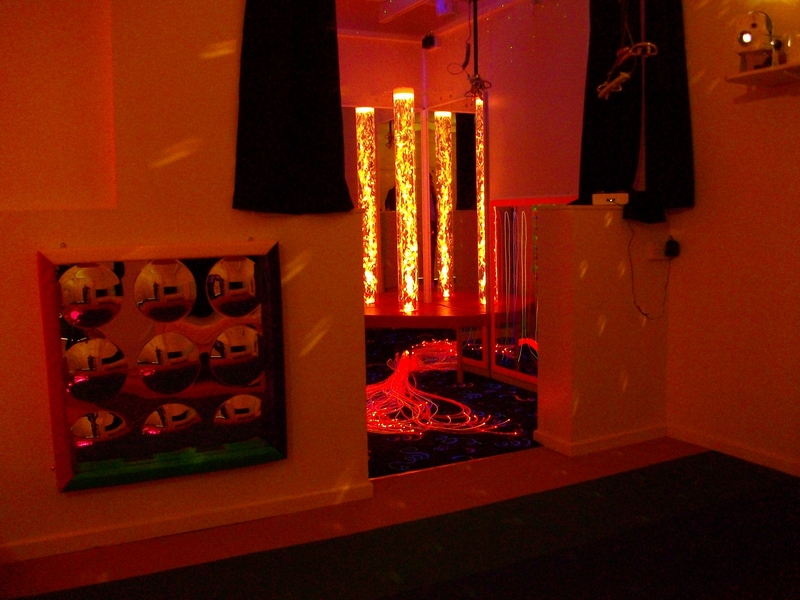 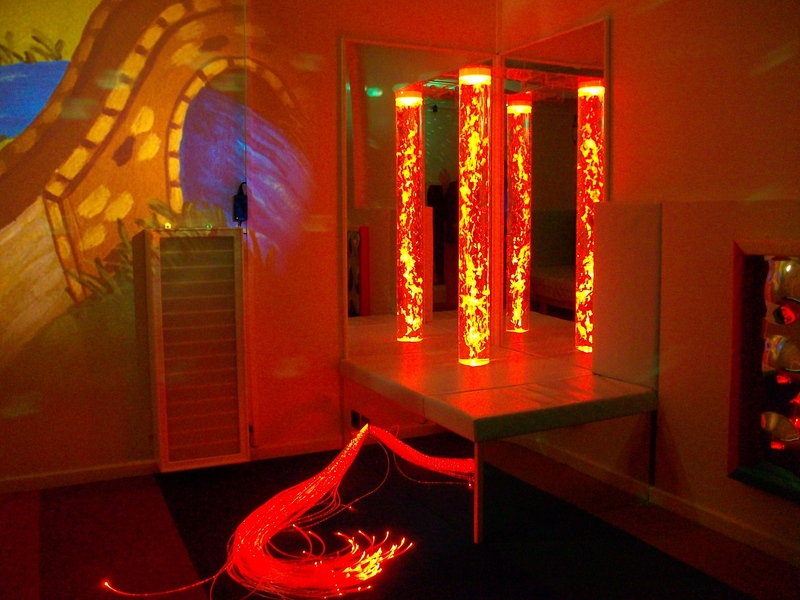 The Sensory Room was designed to cater for young Adults of all abilities. 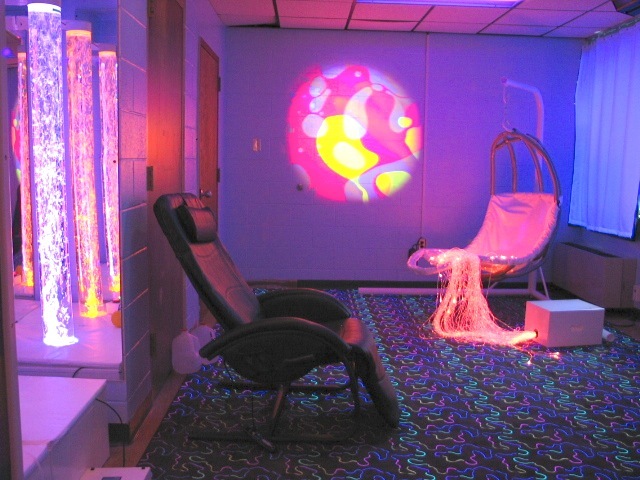 The Client installed both a “light” room and a “dark” room, and the rooms are used both to calm and to stimulate.